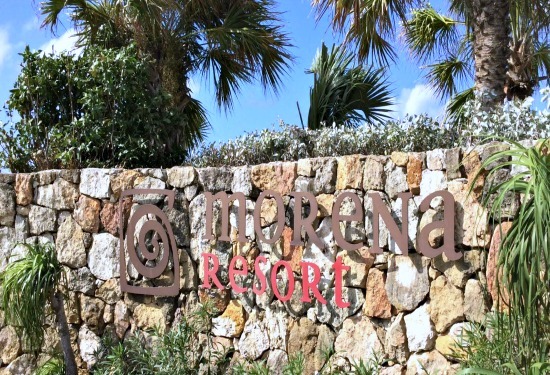 The Reef Course is just a very short shuttle ride from the Grand Lucayan resort, on my way over I must admit I felt really great. I expected to have a really great round, I read up on the course and spoke to friends who had played there. 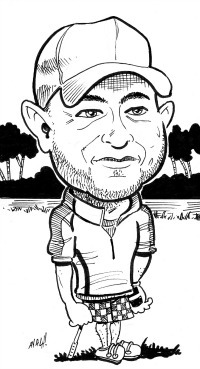 But I am here to share with you my 3 reasons why I hated my first ever round at this course. Maybe hate is a strong word, I loved the course hated how I played that day there. Reason #1 It fools you into believing you are going to play one of your best rounds, I mean I read that it is so wide open how difficult could it be? I still felt really confident even standing on the first tee in my mind this should be a piece of cake. 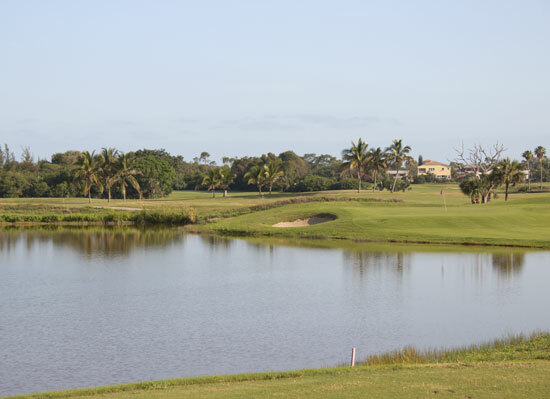 But the truth is the course has 11 lakes that come into play on 13 of the 18 holes. So you can imagine how much I was not too happy with all that water to cope with. And then I get hit with the discovery on the nearly 6900 yard course is also peppered with well placed bunkers. 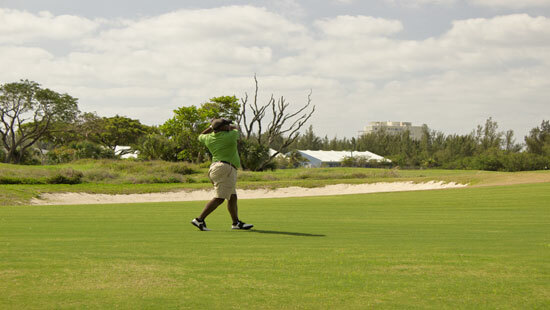 The course is laid out naturally so you see bumps and slopes in the fairways while the greens remain smooth. There are many bunkers which are small and deep. And the reason for this is to keep seaside breezes from blowing the sand away. Links courses usually have few trees if any. Reason #2 I "hated" this course because how much the wind played a factor. When I played it was early in the morning it was still not unusual to see on any given hole the flag strongly flapping in the wind. This made my club selection sometimes difficult not enough club and I found myself short of the hole. If anything I found the wind to be the biggest challenge to playing this course. Later I found out that sometimes the winds blow from the east normally, but would shift North Westerly when a wintertime system blows through. Honestly it did not matter which direction it was coming from it was trouble. 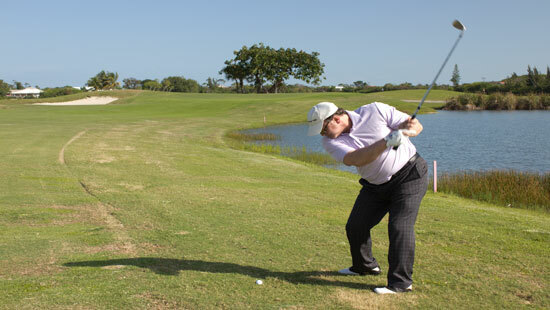 Reason #3 The course challenges your short game abilities. After you battled the wind, stayed away from the numerous bunkers, you would think that with such wide open fairways getting on the green in regulation would give you the opportunity to have a good score on given hole. 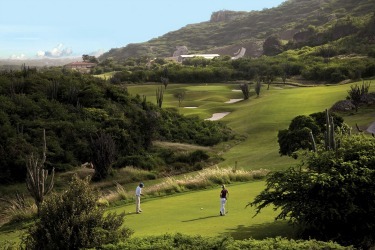 Unfortunately not at this golf course, while it is picturesque it calls for accuracy with your short irons. And the greens are deceptively fast, depending on the time of day you are playing the greens will be like putting in your bathtub. 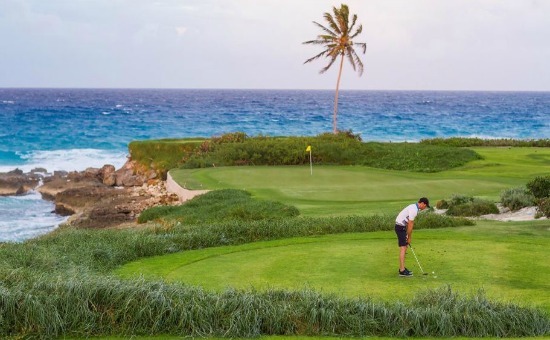 The Reef course is a great test for any golfer at any level, so if you are ready to battle the water, wind and have your short game in order you too will learn to love the fun and challenging experience it gave me.